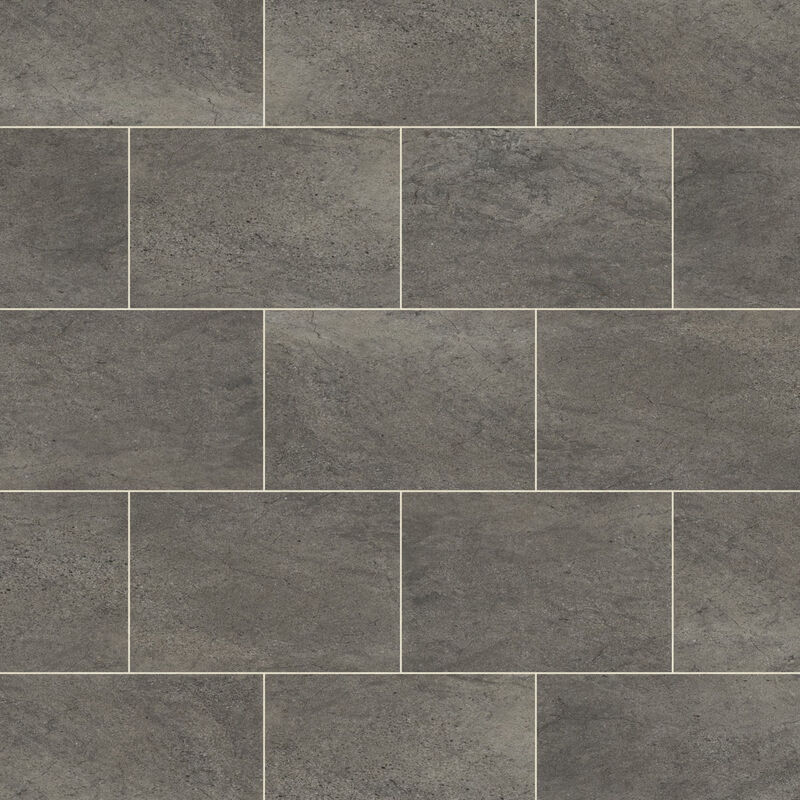 Karndean ST14 Cumbrian Stone Knight Tile Vinyl Flooring combines smoky charcoal and carbon tones in a contemporary 12"x18" tile format for a classic brick bond installation. The strip displayed between tiles is DS10 3mm design strip. View this floor in your own home with the Karndean augmented reality app. Love the Tiles just what we wanted. As for delivery and ordering I would defo recommend them from start to finish it was easy to order and having the day you want them delivered was great. We would used again. Hi Mike, these tiles are 457mm (l) x 305mm (w) x 2mm (t). All our floors require a subfloor which is flat, smooth and clean. Your ceramic tiles are likely uneven, and would need screeding to create a suitable surface, but if they're flat, even and load bearing then they should make a suitable base for your new flooring. Hi John, as long as the subfloor is perfectly flat, level and clean, that will be fine. If not, you'll need to screed over the tiles to create an even and stable surface. Hi Tom, I'm afraid that this floor only comes in full packs. It's usually a good idea to have a few spare tiles around in the unlikely event that the floor gets damaged. Hi David, Yes, the design strips are optional, which will result in a smoother-looking floor. Were thinking of laying this in our bathroom would you say this is warm under foot? Morning Wendy I would say warm underfoot like wooden flooring is but it not cold for sure like ceramics can be.